Tucked into the foothills of Mount Saint Helena on the remote eastern edge of Sonoma County, Knights Valley experiences a moderated climate, offering a longer and later growing season that develops dark fruit aromatics. The 2014 Knights Valley Cabernet Sauvignon is bold with black forest fruit and spiced plum, offering undertones of roasted coffee and crushed rock. Caramel and anise come through on the palate accompanied by broad tannins and a rich and persistent finish. Categories: Country - Italy, Region - California, Red - Cabernet Sauvignon. You didn’t find what you’re looking for? Please get in touch and we’ll do our best to get it for you. The Martin & Croshaw vineyard is located in the St. Helena appellation of Napa Valley. 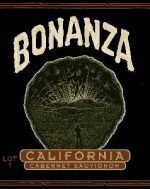 The vines grow in an ideal location on a gently sloping hillside on the west side of the valley with excellent soil (Boomer gravelly loam) for the cultivation of Cabernet Sauvignon. Cabernet Sauvignon clones 337 and 6 were selected for the 2000 vines which are carefully oriented to fully capture the unique terroir of the site. They farm organically, and work is done by shovel and sweat. 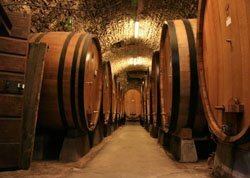 Irrigation is limited and they selectively thin the grapes to produce a concentrated, full bodied wine. It is a labor of love and of friendship. 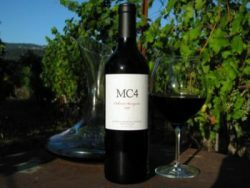 The MC4 Cabernet Sauvignon 2015 is a gorgeous wine, ready to drink now with red cherry, black cassis and blackberry aromatics, a sumptuous body, silky tannins and a lengthy, elegant finish of red and dark fruit, all beautifully integrated and softened with French oak. Only 88 casese produced. 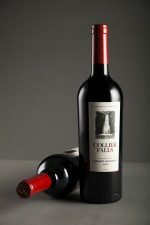 The Collier Falls Cabernet Sauvignon 2013, Dry Creek Valley is deep, dark red in color with aromas of blackberry, cinnamon and clove. 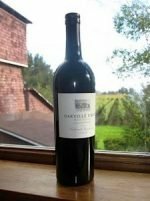 This elegant, balanced and spice driven Cabernet has a very approachable palate with distinct notes of red currant and vanilla. We recommend 20-30 minutes of decanting to fully showcase its soft flavors and lingering finish of red fruit. Only 323 cases made.